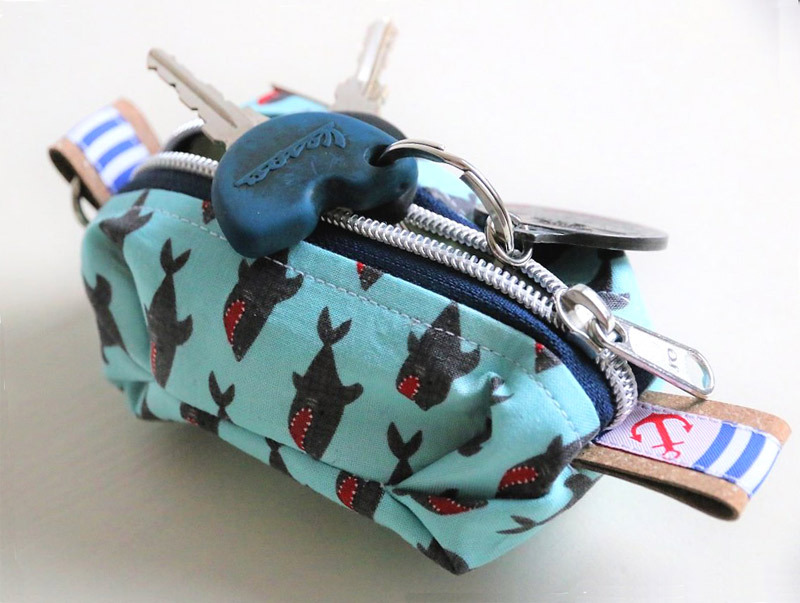 The corners of the keyhole are not sewn, but folded. This creates a crunchy look, which nevertheless has an appealing shape. 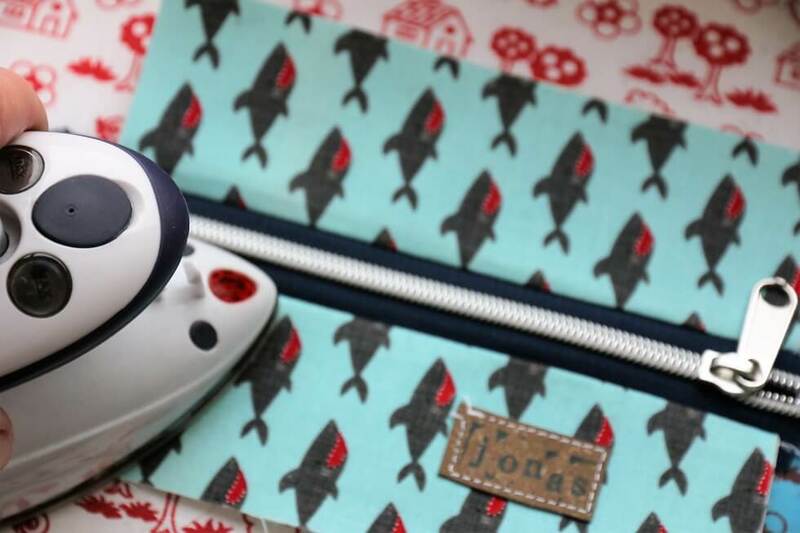 If the bag is pressed together, the seams will automatically follow. 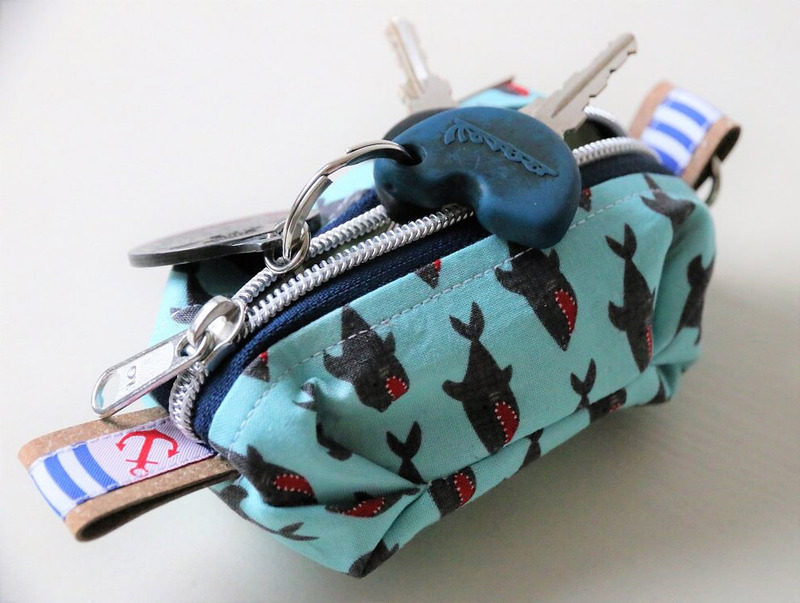 The finished keybag is without loops 13 cm long, 7 cm wide and 5 cm high. 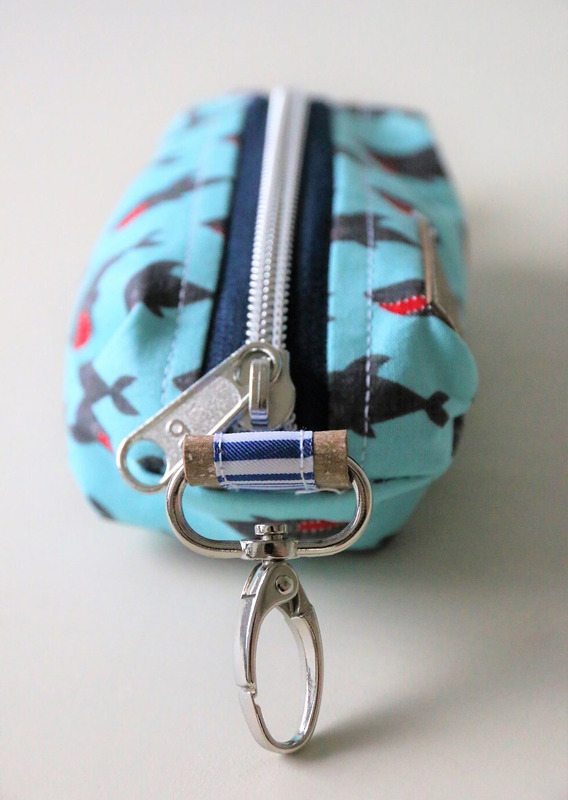 Fasten the zipper to the zipper and close the zipper claw with a few stitches (by hand or sewing machine). 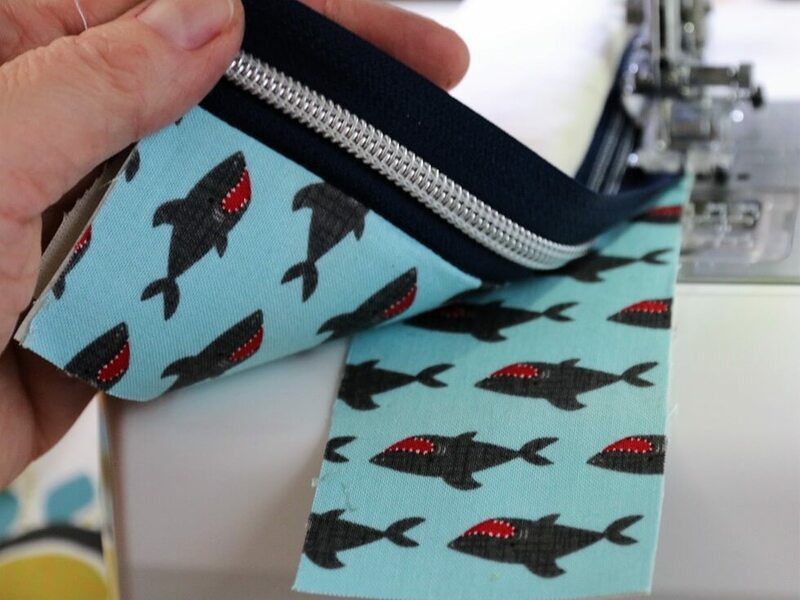 Then put the zipper with the right side on the longitudinal edge of a narrow outer part and sew it with a straight stitch. 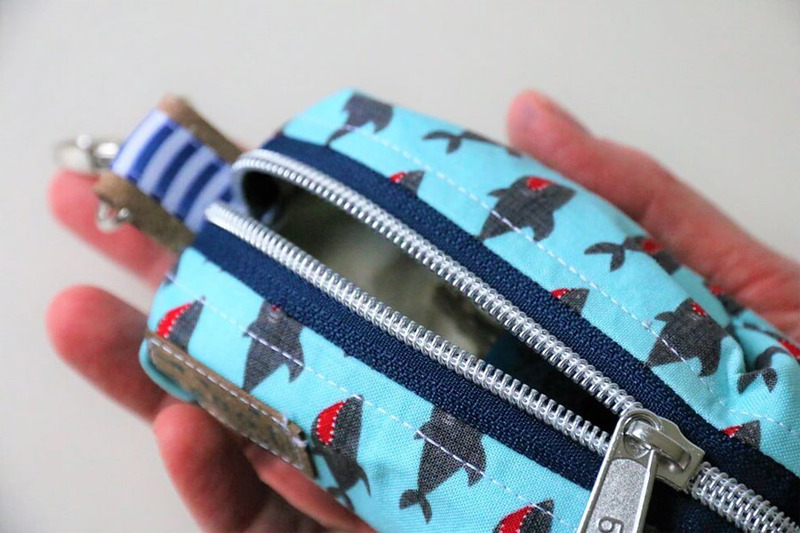 Then place one of the narrow lining pieces on the right side of the zipper on the zipper and sew it tight by sewing a straight stitch in the first seam. 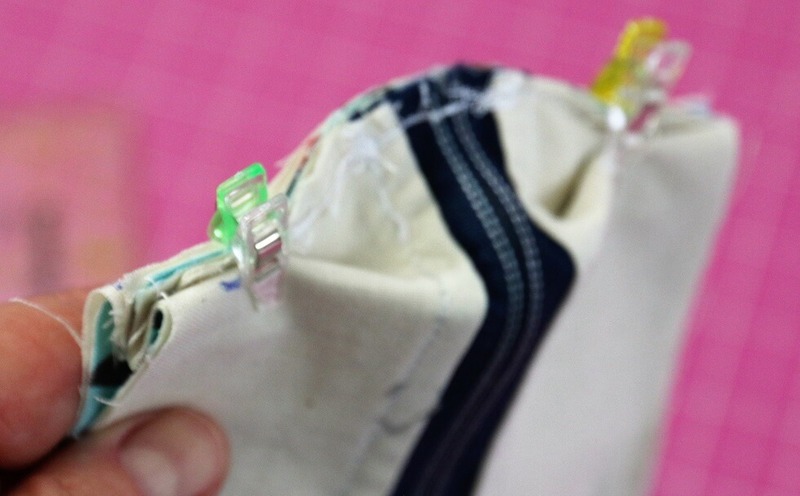 Repeat this step on the other zipper side. 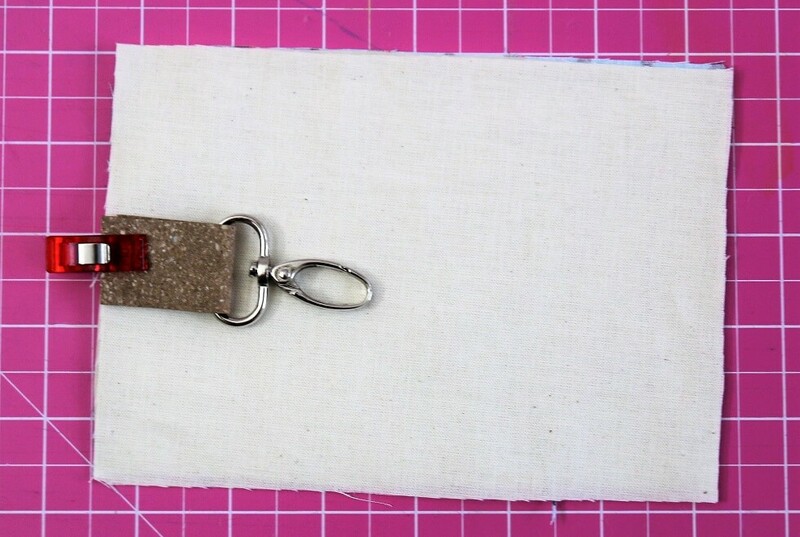 Remove all parts from the zipper. 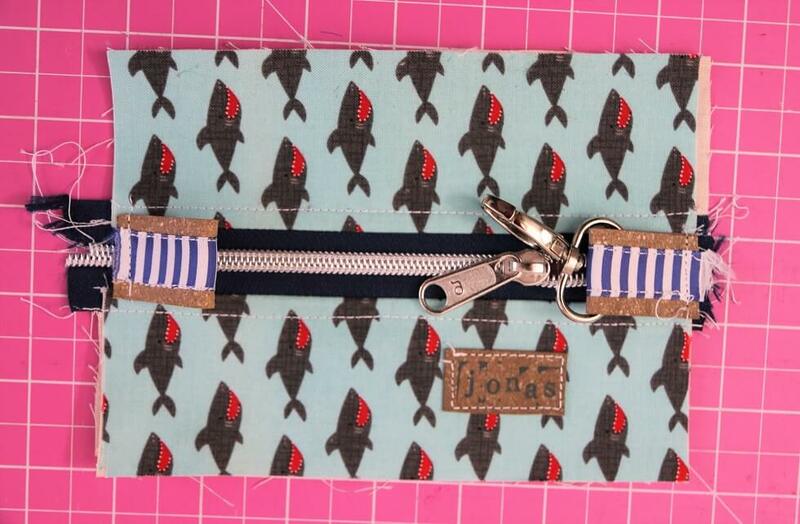 And stitch the edge next to the zipper with a long straight stitch (3,5). 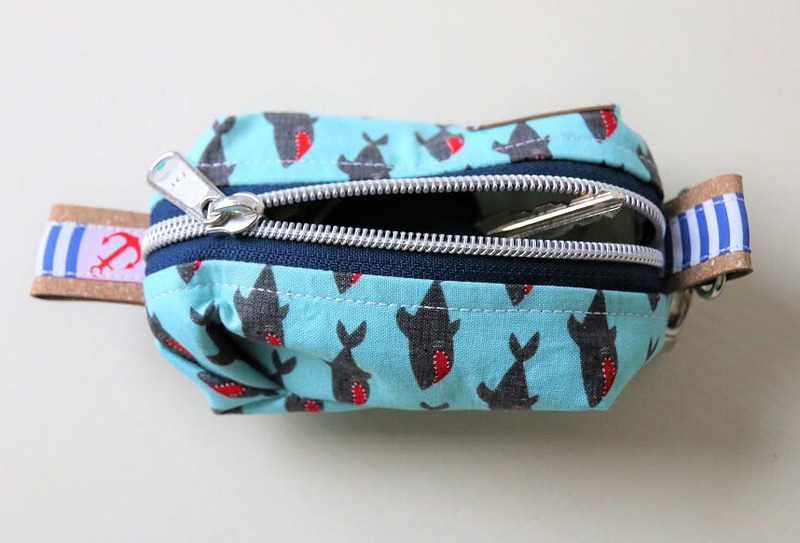 In the middle of the zipper ends you can now sew two of the loops from Releda. One with carabiner, one without. 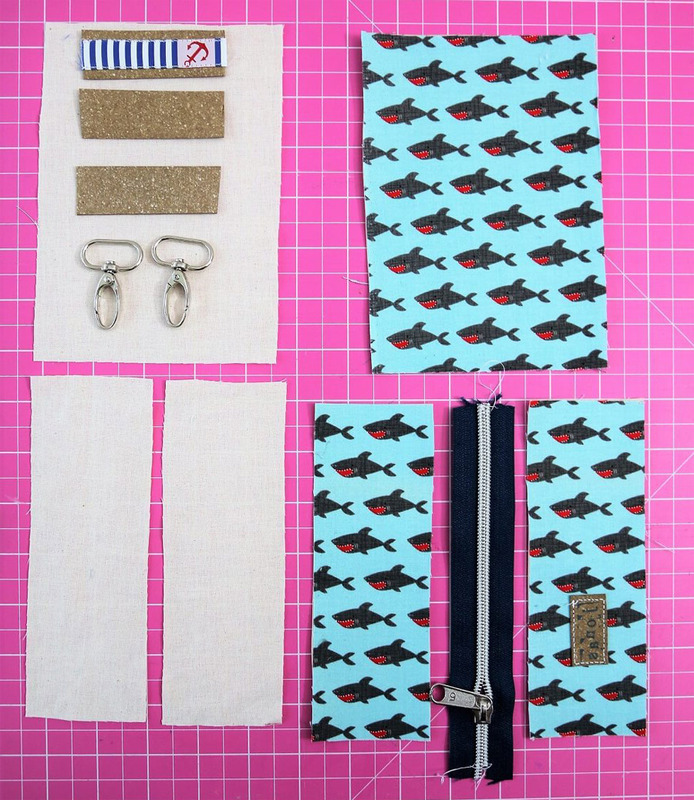 Then you put the 12 x 17 cm section of outer fabric right to the right on the part with the zipper. And on the left, on the left, the lining part, to which the third loop part with Releda is fastened. 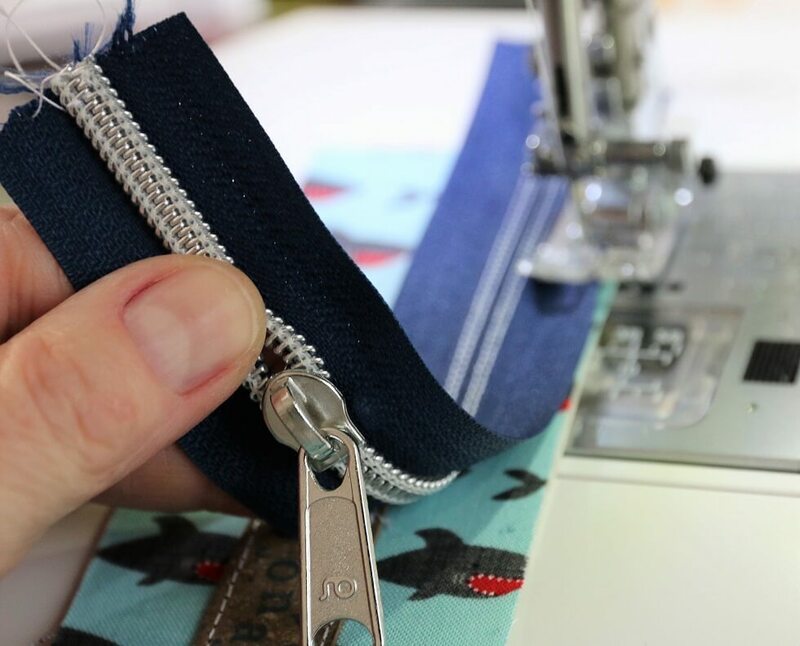 Fix everything well with fabric clips and close the short sides with a straight stitch. All loops are sewn. 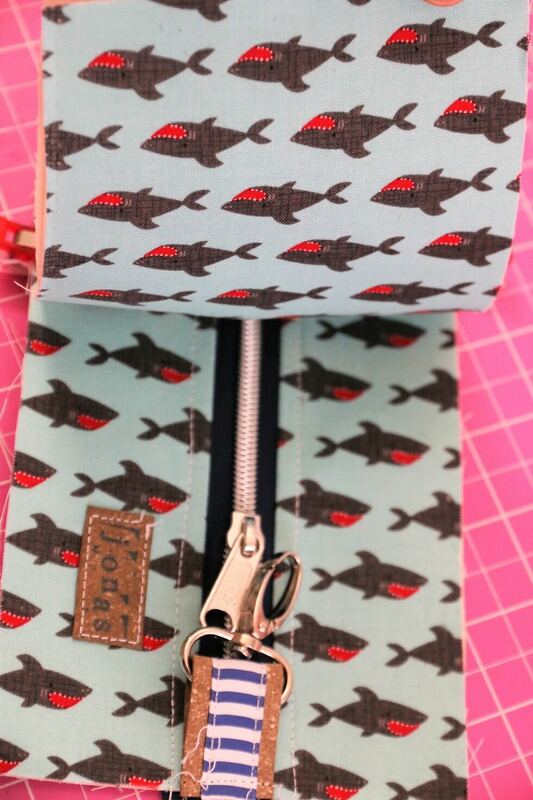 Because of the wide zipper, I did not make this work step with the overlock. 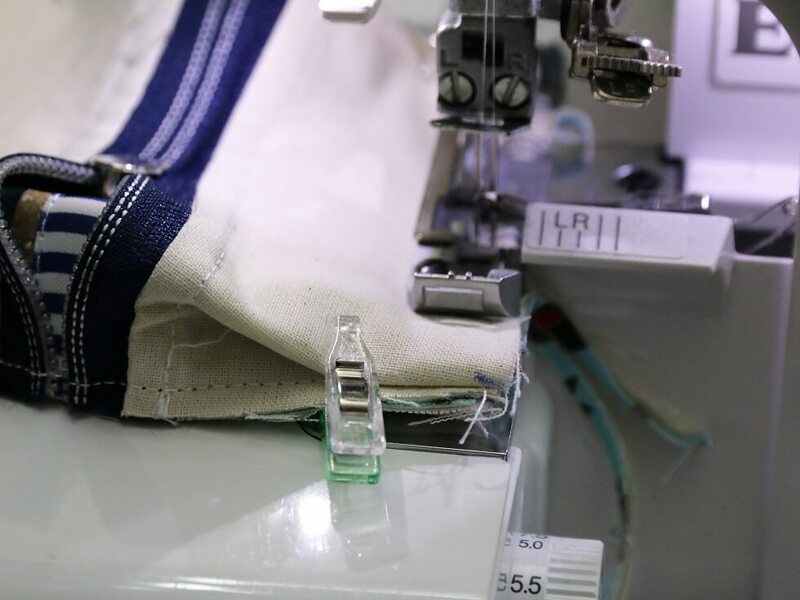 In a thinner zipper, however, I would close the short sides with an overlock seam. Now close the close-up a little. 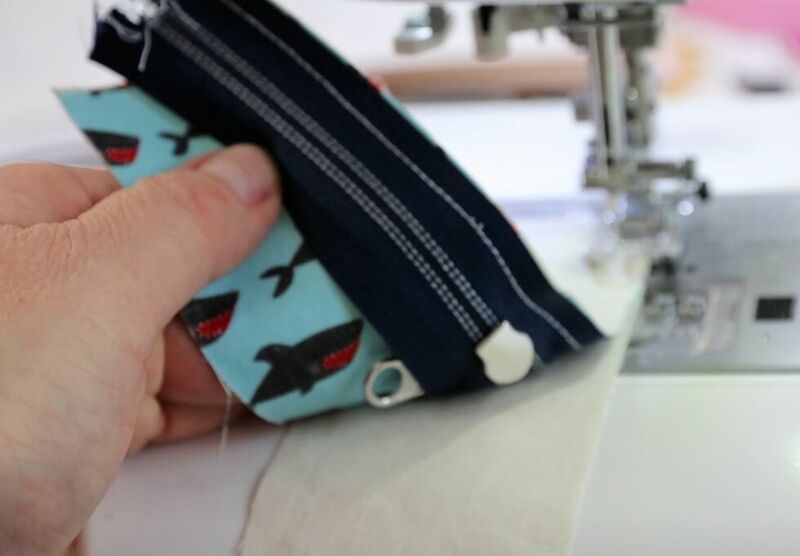 Put a mark on all four corners and on both sides of the bag, 3 cm from the seam. 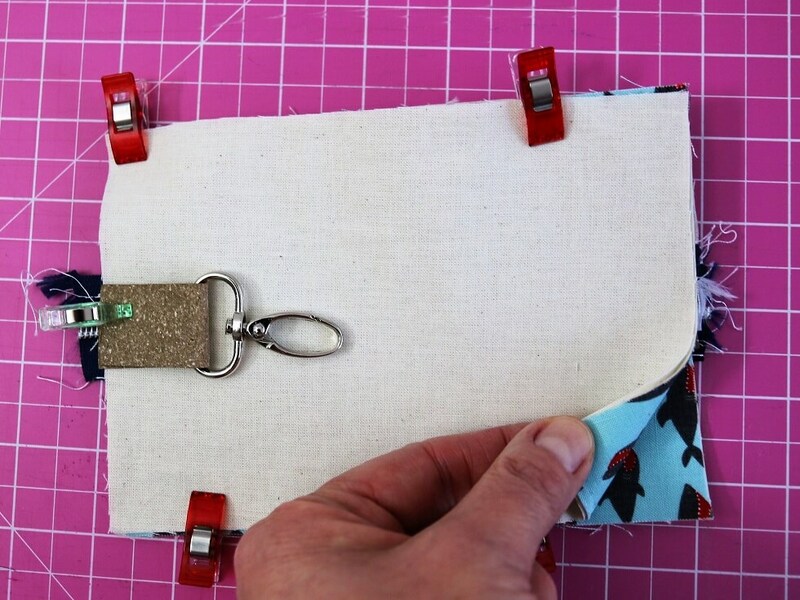 Fold the markers on both sides to the seam and fix them with fabric clips. Repeat at the 3 remaining corners. 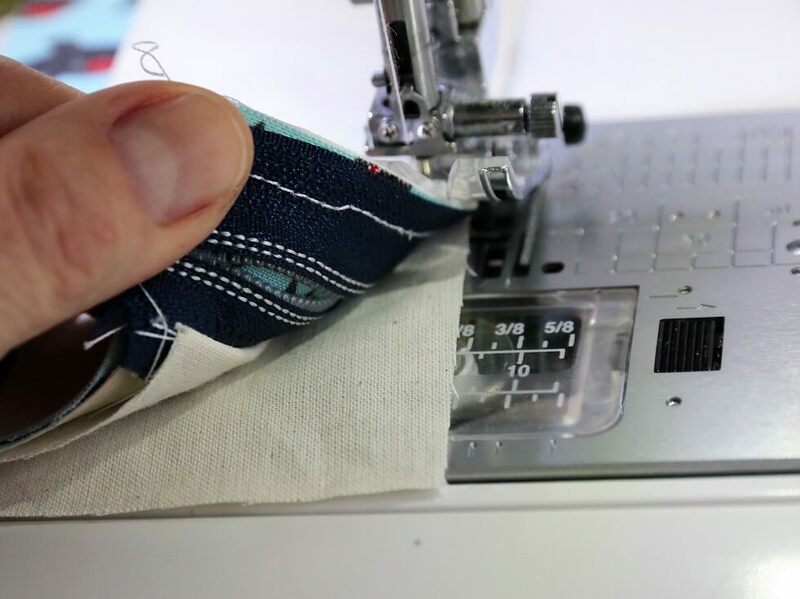 Now close the longitudinal sides with the overlock stitch of the sewing machine or with the overlock. 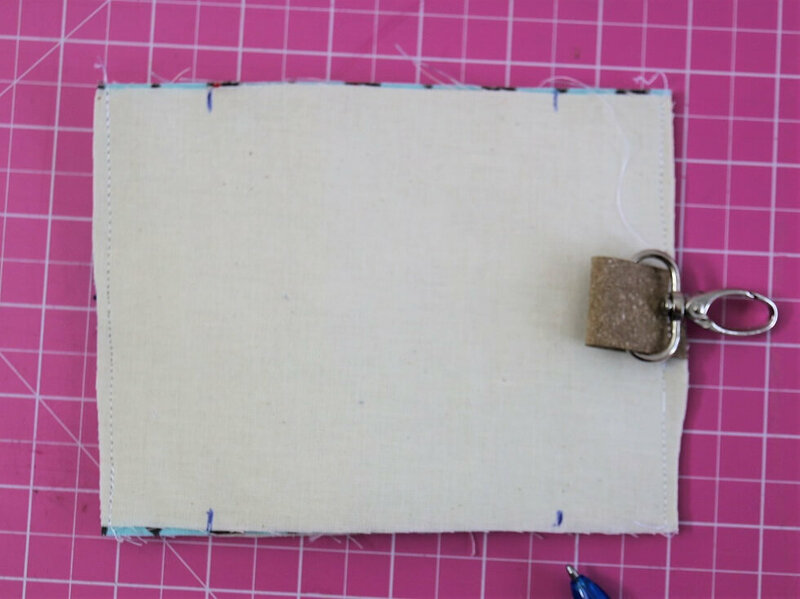 Shorten the corners a little and turn the case.